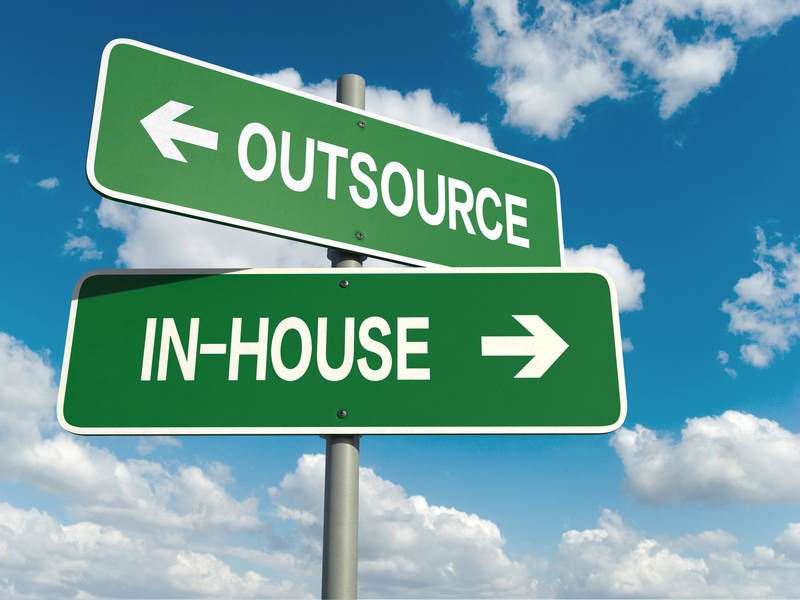 Using Others: When Does Outsourcing Make Sense? A growing ecommerce enterprise will reach a point when there will be need to expand operations. While growth is always exciting, some of the choices of how to handle expansion can be challenging. If you are the entrepreneur or manager of such an enterprise, one of the tough questions to address is when to hire additional personnel and when to outsource a function. In some scenarios, it will make sense to bring in new people to the team to make sure it all stays in-house. But in some instances this can be a inefficient and costly choice. It is a reality of our current business environment that there are many kinds of expertise available as freelancers and consultants. Such third-parties can be an effective way to handle certain aspects of the business and a cost effective way of getting the best for your business. There is no better evidence of this being an attractive than the way business-to-business outsourcing has become a rapidly growing trend. Small to medium-sized companies comprise the bulk of businesses that turn to outsourcing partners for their e-business needs. These companies have recognized that compared to their internal options, third party vendors provide a high level of specialization at a lower cost. By turning to specialists in their field, business owners share some of the burden of decision making. This is no small detail because no matter how smart, no single entrepreneur can be an expert in the many fields that need quick decisions and choices. Outsourcing is like hiring a panel of experts to share the challenges of effective management. Hosting and building applications with round-the-clock monitoring and system support. Accounting functions including tax preparations. Data analysis – for successful marketing campaigns – through analytics tools such as Google Analytics, but I would be actively participating in understanding these data, as there are nuances that perhaps only you can detect as no one will understand your business in depth as well as you. Website promotion using SEO and Pay-per-click; social media engagement through Facebook and Twitter presence. Customer service management to smooth out issues before any of it can become a crisis. Content writing can be outsourced, but I encourage you to be active in planning out the actual topics relevant to your business. If you find yourself nodding your head in agreement to the idea of outsourcing, the following questions can serve as a good blueprint on deciding what you can outsource. What are your primary and secondary strengths? Most of the time, our primary strengths are the things that we cannot outsource or delegate to outsiders. Primary strengths are a business’ core competencies, the ones that drive the business, like product development or design. An online clothing retailer should ideally not use others to source the apparel they offer for sale. That would be like a bakery sending out for cupcakes from another store. However, if the baker uses someone else for marketing, it makes a lot of sense. While the baker may be capable of coming up with some good marketing ideas, it is a secondary strength. Secondary strengths involve peripheral activities, such as driving traffic, which you can let others do for you, so you can focus on your key competencies. What would be the cost of performing the task in-house? If you find it hard to decide what to give up, and hand control over, it may help to think in terms of costs. If by doing one of your secondary task, you are costing more for your business then it should be sent out. Your time is your most precious commodity and use it for the most relevant and critical business functions. So, while you will notice the bill that you get from the outsourced agency, remember to compare it to the bill you should write for your own time to truly understand the cost of not outsourcing. Calculate all your possible expenses, including office rental and personnel costs. Typically, outsourcing should help reduce the general cost of running your business. 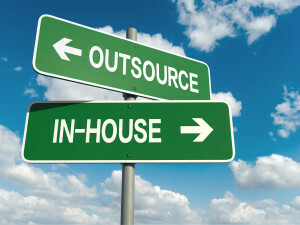 Would it affect your efficiency if you choose not to outsource? This question is an extension of the previous question about cost. If by not outsourcing, your business will show the impact in terms of efficiency or quick decision making, that is important to acknowledge. Going back to the baker example, if the baker is spending too much time with Facebook social media campaigns instead of keeping track of inventory that she can sell, that can be an expensive inefficiency. Determine if your productivity and overall performance will suffer if you fail to invest in the expertise that an outsource could provide. Write down all the things you touched and then grade it as it you were paying someone else to do the job, what would you pay that person to perform that task, if you find yourself doing more than 65% of the task that you can hire to someone else for under $25.00 then you may want to rethink how much your time is worth. Given that most outsourced functions are billed on a project business, it can be a much better way to manage your budget than looking to hire personnel or get more equipment. Outsourcing can allow you to be more focused on the exact product or service you’re offering; including staying up-to-date with industry developments. Such focus can make the real difference between a somewhat profitable business and a smart and responsive success story.